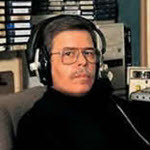 Art Bell Somewhere in Time returned to Nov. 2, 1995 for a night of “anything goes” OpenLines. Art Bell: Somewhere in Time returned to 5/31/2001 when paranormal expert Dr. Morgan Spence discussed the real possibilities for the existence of Shadow People. Art Bell: Somewhere in Time journeyed back to July 11, 1996, when Art was joined by Graham Hancock, who discussed discoveries about the pyramids at Giza that, if true, would change everything.